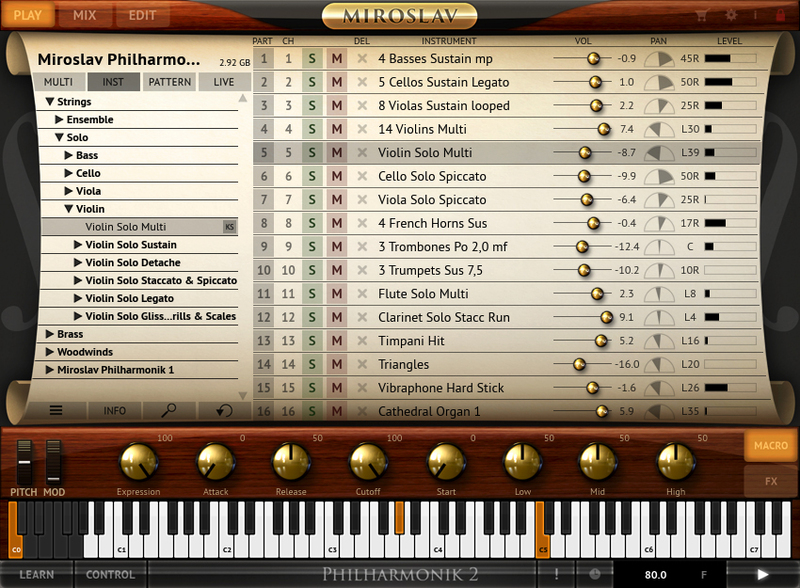 Miroslav Philharmonik 2 is feeling. And it’s feeling that you can’t get with other orchestral collections. Musicians familiar with Mirsolav Vitous’ groundbreaking original library know what we’re talking about. But if you’ve never used Miroslav Philharmonik before, let’s paint a picture in your mind of the particular kind of feeling that its instruments can conjure: It’s the tension and mystery filling your love story set in the French Riviera with delicate tragedy. It’s the punctuation and swelling background of passion in your next tear-jerking R&B ballad. It’s that added dash of symphonic brilliance that turns your goth-metal anthem into the kind of cathartic experience that tops charts. Miroslav Philharmonik 2 is all of these things and more. And it’s only possible because of its truly unique sound set. Unlike other libraries, its samples and sounds don’t just recreate dry instruments. 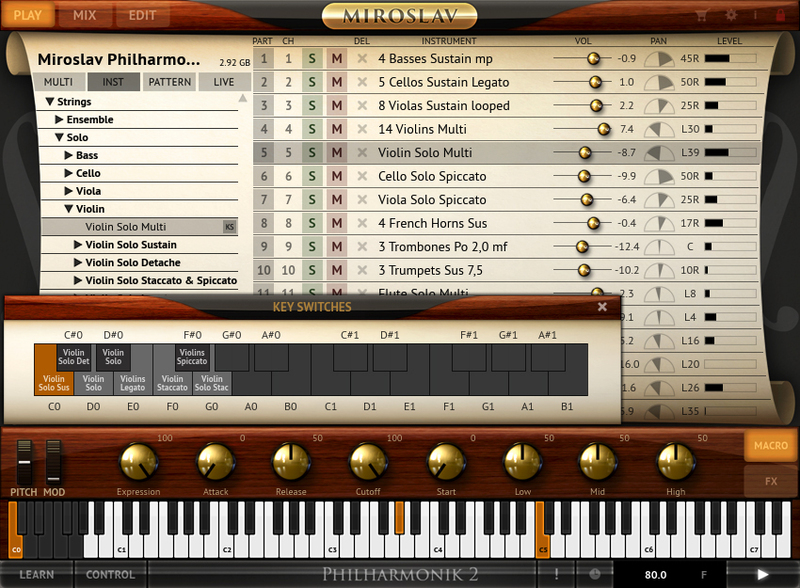 Instead, Mirsolav Philharmonik 2 turns you into a master conductor in control of a full symphony orchestra staffed by living, breathing human beings. So when you call on an instrument to play, you won’t just hear a note — you’ll hear all the passion, pain, joy, suffering and excitement of the musician playing that note. And you’ll get it immediately (no processing required). 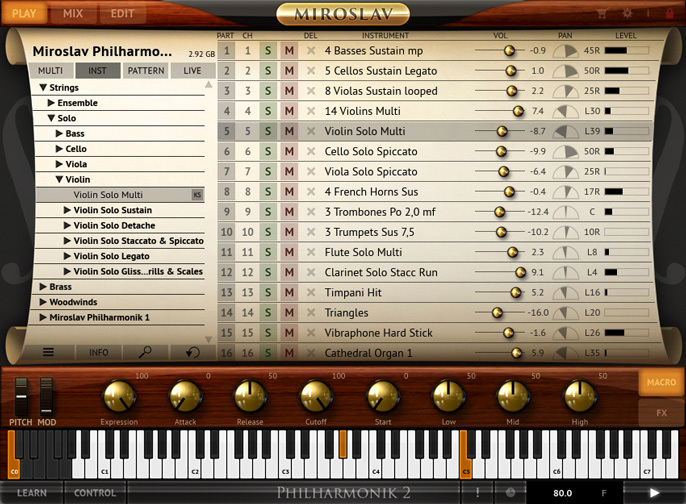 And that’s why Miroslav Philharmonik 2 is such a revolutionary orchestral collection. It’s a sweeping vision — in the form of an elegant and easy-to-use software workstation — from a master musician that gives you immediate access to a cathartic depth and fluidity of human musical expression that’s never before been heard in a software sample collection. Each of its instruments features multiple musical articulations played by real musicians with the kind of “live” feeling that only a master conductor can provoke. From flowing legatos to animated pizzicatos, from aggressive spiccatos to elegant staccatos and from the subtlest pianissimo to the most triumphant fortissimo, Miroslav Philharmonik 2 gives you the power to draw raw musical feeling and emotion from every note. 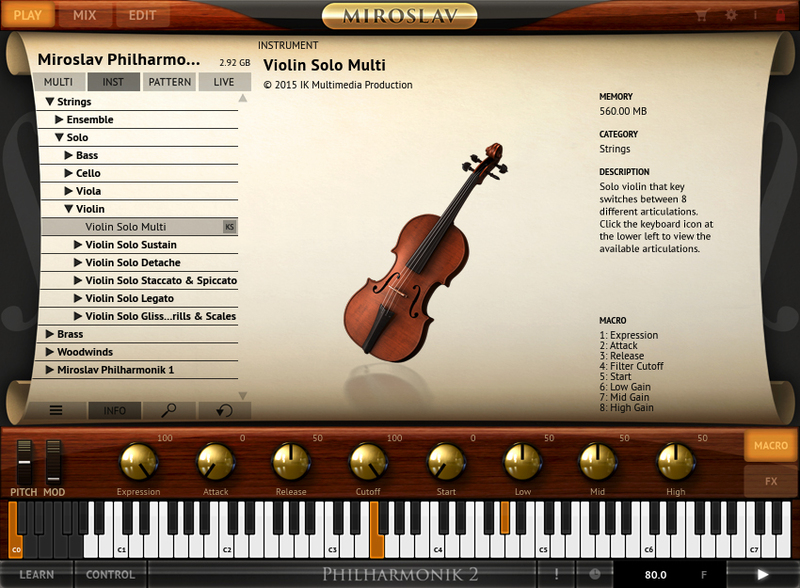 This entry was posted in archi, colonne sonore, ik multimedia, orchestra, Plug In, Samples Libraries, Software, Tutorial, violoncello, Vst and tagged download, ik multimedia, miroslav orchestra, miroslav philarmonik 2, miroslav philarmonik orchestra, miroslav vitous, recensione, tutorial. Bookmark the permalink.